"...agents had investigated Mateen in 2013 and again in 2014 regarding terror threats, but lacked sufficient evidence in both cases to pursue charges." 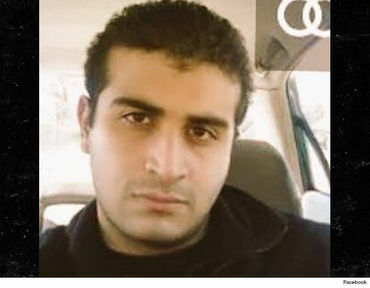 How many more Omar's are out there, waiting to do the same thing? Dragons, Snakes, and Sharks striking wildly about our planet. 50 more human beings dead at the murderous hand of one hopelessly lost in an Ancient Belief System. Sadly, add our latest here to the million lost in the Middle East and the billions before. Blood, anguish and tears flowing in the streets and country sides across our planet. Indifference reigns. Beyond the Church, beyond the Synagogue, beyond the Mosque, and beyond the Temple, there is the New, the Eternal, the Ray of Love that Shines and fills all empty spaces. Beyond the multitudes of Earth Based Belief Systems, lay one's True Self. Entities that cross over abruptly encounter disorientation. The most helpful ACTion for those of us still in the body is to send those entities our thoughts/feelings/prayers of Love, and to ask our personal Allies abiding in the non-physical realms to offer any assistance to the entity/ies who have crossed.